This Better Homes and Gardens Solid Euro Sham will enliven and match effortlessly to any bedding decor! 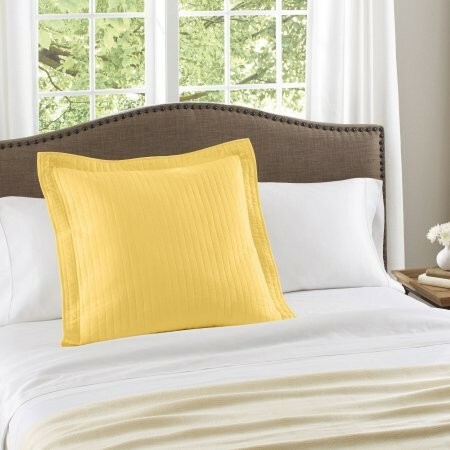 The Sham, featuring a channel quilting pattern on the face, has a two-inch self flange along the perimeter, which frames the pillow and gives a luxurious finished look. The sham is constructed of 100 percent cotton on the face while the reverse side is made of 100 percent soft brushed polyester. This euro sham is machine washable for easy care and long lasting durability!